Most flowers are made to smell delightful — all the better to lure in pollinators, such as bees. The pollinators then get to sip on the flowers’ sweet nectar, while the plants, in turn, get fertilized. But not every potential pollinator can be seduced by a sweet fragrance. Some plants have evolved specialized scents to attract some of nature’s less-than-romantic insects. Flies, for instance, make effective pollinators just like bees do — the only catch being that flies aren’t attracted to sweet smells. In other words, just as there are a plethora of flowers that smell sweet, nature has also designed its fair share of flowers that waft a funkier stench. Here are nine flowers you wouldn’t want to accidentally include in your beloved’s next Valentine’s Day bouquet. This is our list of the world’s worst smelling flowers. 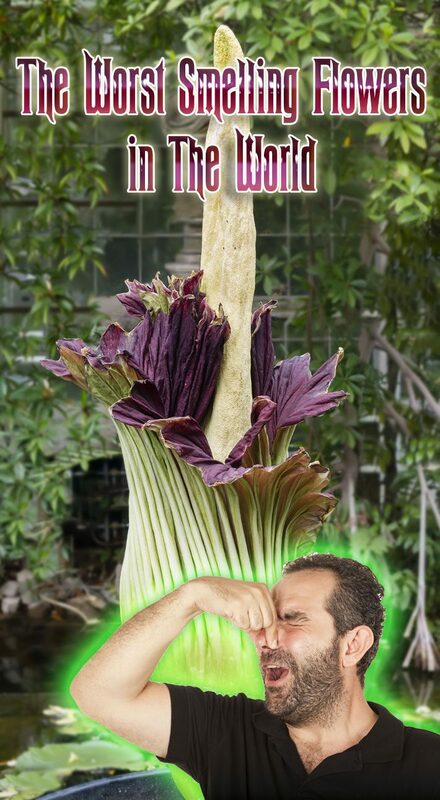 The titan arum, the first of two flowers in this list nicknamed the corpse flower, carries the unfortunate designation of being “the worst smelling flower in the world.” It smells like — you guessed it — a stinking, rotting corpse. It does its job well enough, since its principal pollinators are flies and beetles that prefer to lay their eggs in dead things. 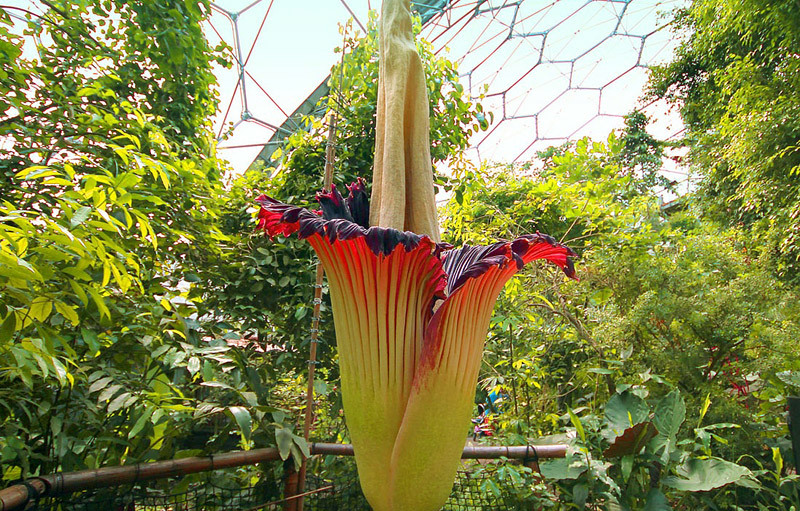 The flower is also clearly titanic, with the largest unbranched inflorescence in the world. This is one massive, smelly bloom. Its vase-like exterior contains thousands of flowers inside, all puffing their fetor into the air. The inside of the spathe is the color of red meat, for added effect. The only good news is that the flower’s bloom doesn’t last very long, only about 24 to 48 hours, after blooming only once every four to six years. This flower’s name gives away what the bloom smells like: roadkill skunk. It grows naturally in the wetland soils of eastern North America, and lures in flies and stoneflies for pollination. One of the more interesting adaptations of this plant is that it is also capable of generating its own internal heat. 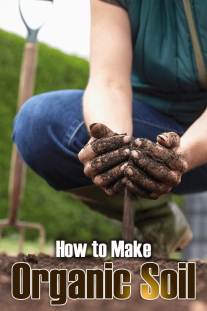 The higher internal temperature not only allows the flower to come up through snow-covered ground, but it may also help to attract pollinators by mimicking the heat released by a fresh corpse. 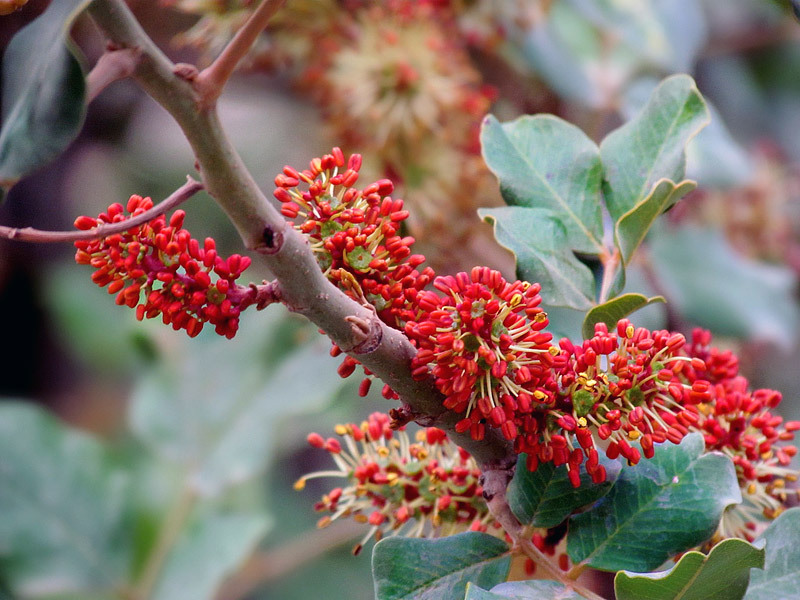 If you can stomach it, the plant is also known to have medicinal properties, and has been used for the treatment of asthma, epilepsy, coughs and rheumatism. 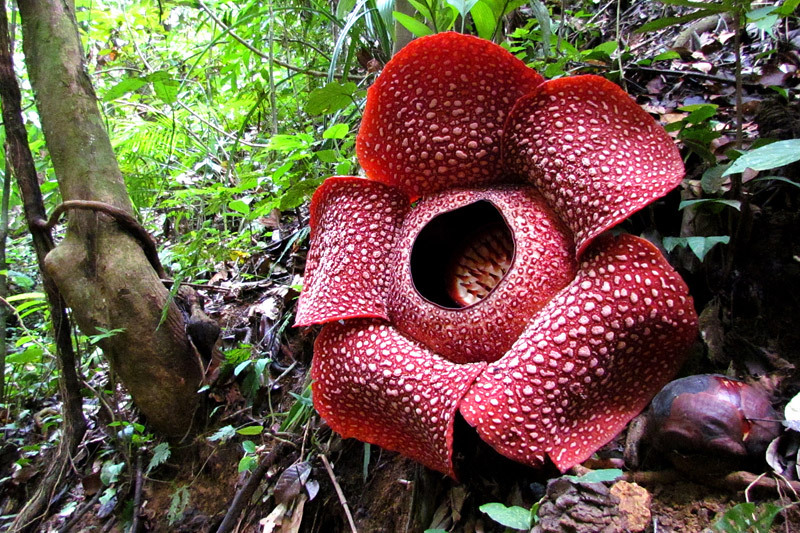 Rafflesia arnoldii produces the largest individual flower in the world. You might be impressed by one, until you got close enough to take a whiff. The nickname it shares with titan arum, corpse flower, tells you everything you need to know about its aroma. As with several other foul-smelling blooms, the scent is designed to smell like rotting carrion to attract flies. Despite its unsavory stench, Rafflesia arnoldii is considered one of the three national flowers in Indonesia, where it is a protected species. When it’s not delivering its stinky odor, it actually makes a beautiful bloom. The other good news is that since it’s such a large flower (blooms can be 3 feet in diameter! ), there won’t be any question where the bad smell is coming from. 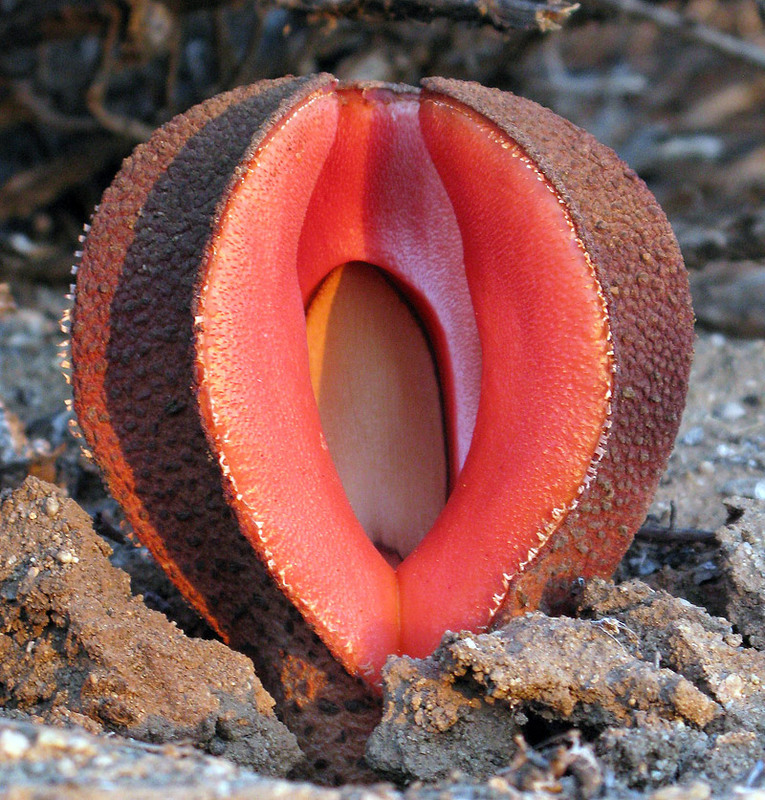 This fleshy flower, which is found in southern Africa, is known for having the appearance of female genitalia. The odor that it exudes, however, is more reminiscent of another bodily orifice. Yes, that’s right: it smells like feces. It’s an effective stink given that its pollinator of choice is the dung beetle. 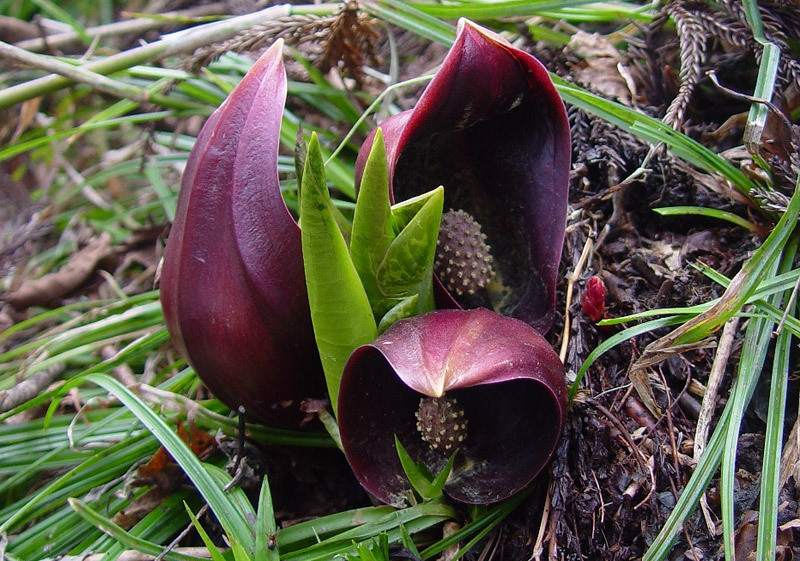 As if its reputation wasn’t bad enough, Hydnora africana is also a parasitic plant that grows almost entirely underground except for its bloom. That helps explain why this organism also looks like a creature out of the movie “Tremors.” Perhaps not surprisingly, its discoverer listed it as a fungus before later analysis revealed that it was, in fact, a flowering plant. Orchids are renowned the world over for being a family of flowering plants that produce spectacular, intricate blooms. But the largest genus of orchids, Bulbophyllum, is also known to contain some real stinkers. 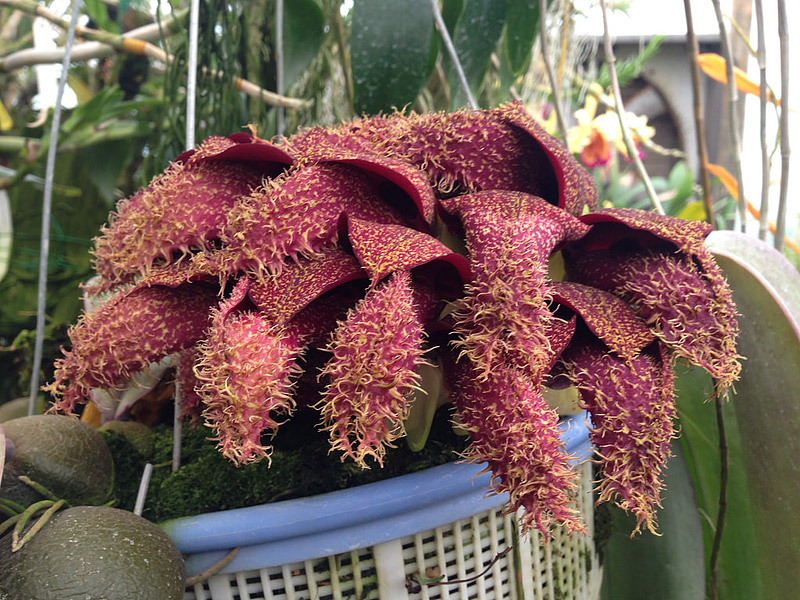 Case in point, Bulbophyllum phalaenopsis, a hairy, pinkish-red flower from New Guinea, which also happens to smell like dead, rotting mice. As with many of the carrion flowers that have been mentioned on this list, the purpose of the smell is to attract flies. The flies buzzing around this depiction of the Helicodiceros muscivorus flower are no joke — they are part of any encounter. Its name is also apt, as the stench smells like rotting dead horse. Of course, the smell attracts flies, which in turn act as pollinators. You wouldn’t want to find yourself lost in a field of these flowers on a beautiful day. Interestingly, the spathe won’t unroll if the day is cloudy. It waits for a clear, sunny day so that the smell can spread far and wide. The fuzzy, mesmerizing, starlike bloom of this plant is captivating enough to draw you in — but the stench is sure to drive you away. 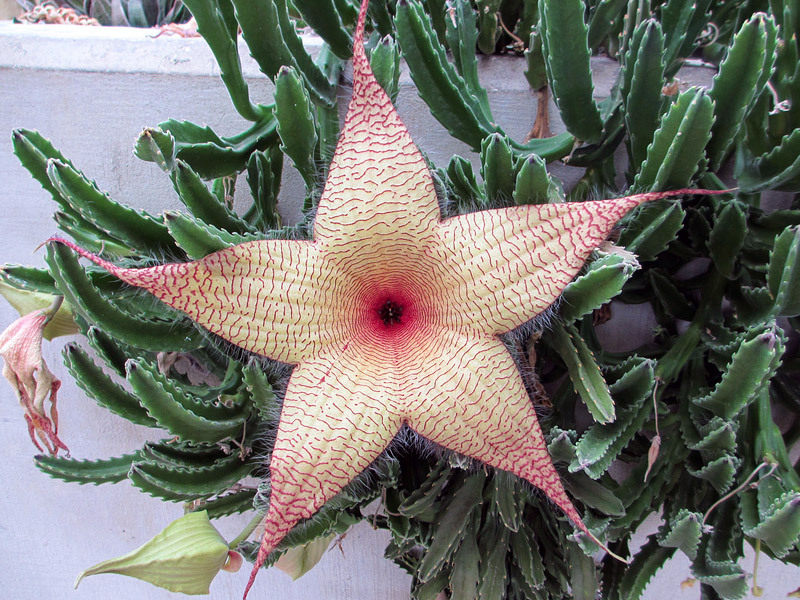 Stapelia gigantea is a carrion flower, and emits the stench of rotting flesh. In fact, the flower’s hairy, leathery texture is believed to mimic the rotting flesh of a dead animal, for added effectiveness in luring in its pollinator of choice: flies. Because of their alluring appearance, the flowers enjoy some relative fanfare among cultivators. 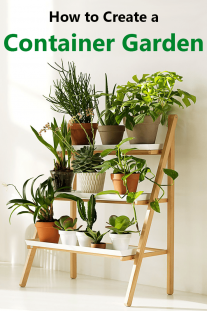 Understandably, it is strongly recommended that they be kept outdoors, where the fresh air can dilute the odor. 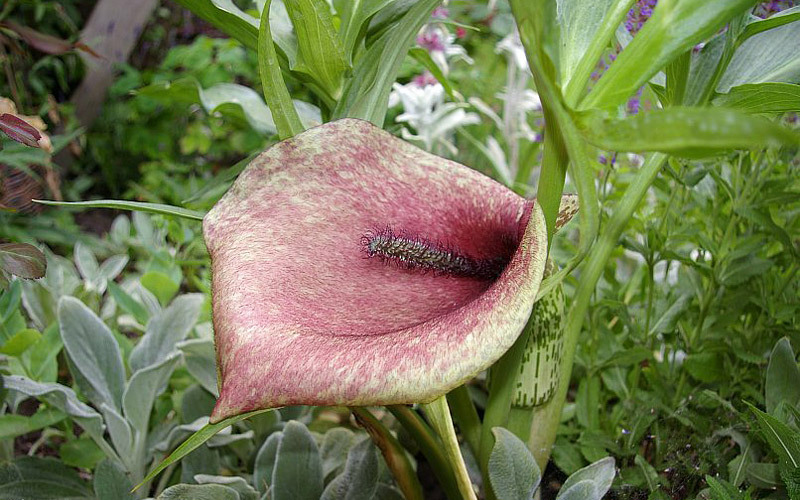 A few of the common names for this flower and its close relatives include the voodoo lily, snake lily, stink lily, the black dragon and dragonwort. In a phrase, this is one vulgar-smelling bloom. 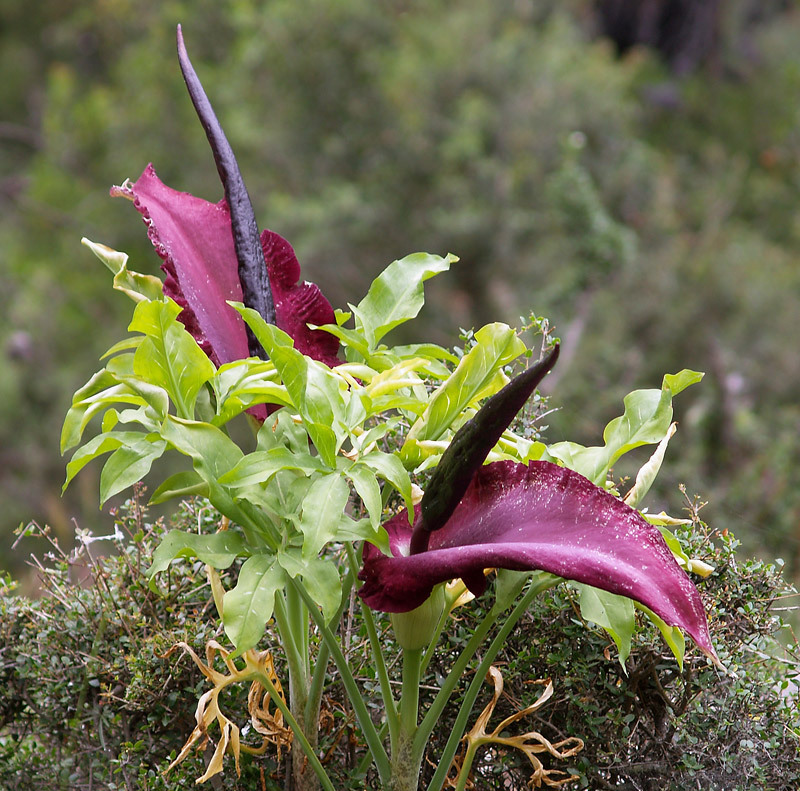 Originally found in and around Greece, Dracunculus vulgaris has been introduced to the United States, most commonly on the West Coast in California, Oregon and Washington. Like with many of the flowers listed here, its stench is that of rotting flesh. The good news is that the smell doesn’t last too long — only about a day — and the flower itself is stunning and unique. 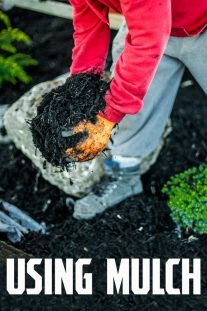 That’s one of the reasons it has been introduced far and wide, despite its unfortunate smell.